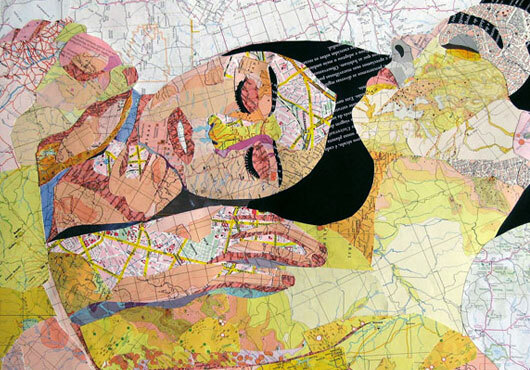 Brazilian artist Joao Machado makes his art from maps. It came about quite accidentally actually and I’ll tell you how in a moment but for now take a look at these beautiful detailed works. After seeing these, I really don’t think I’ll ever look at my trusty old Gregory’s in the same way! Above: Couple, 2006. 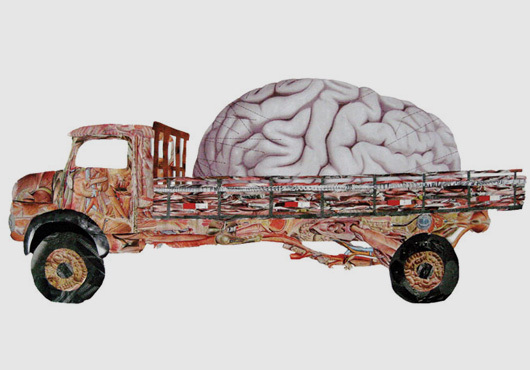 My body is a meat truck carrying a brain, 2007. 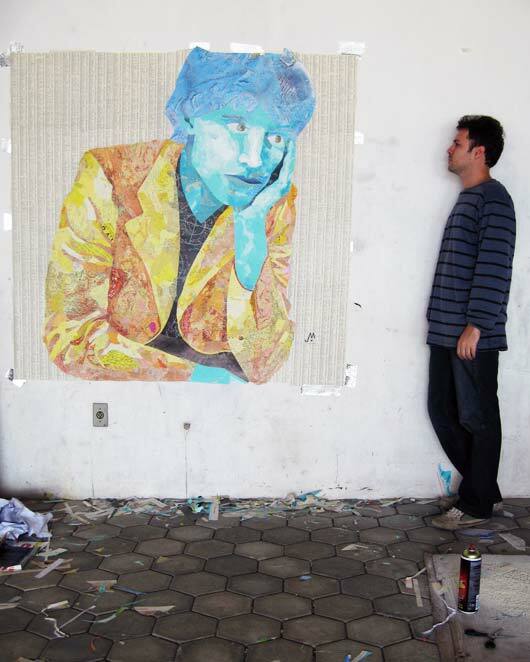 Artist standing beside his work titled Melancholia, 2008. 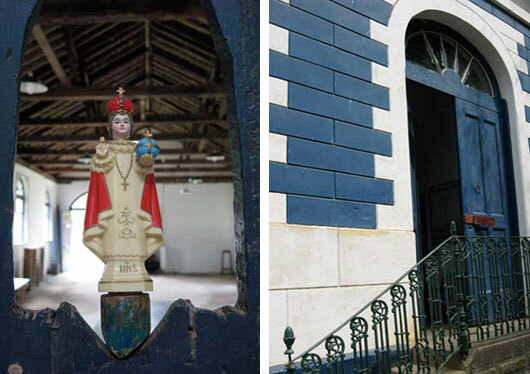 Joao has the most amazing studio space (pictured below). About 50 years ago his family acquired The Sant’anna coffee farm located in the historic Coffee Valley about 2 hours outside of Rio de Janeiro. Today the old stocking warehouse is his studio. It’s a large space (about three times the size of my apartment) with large windows, an abundance of natural light and a ceiling that reaches the sky. Oooh what a dream, for any creative! And that’s not all. Apparently the property comes with its own private forest and waterfall too, heaven! So back to the story about maps. 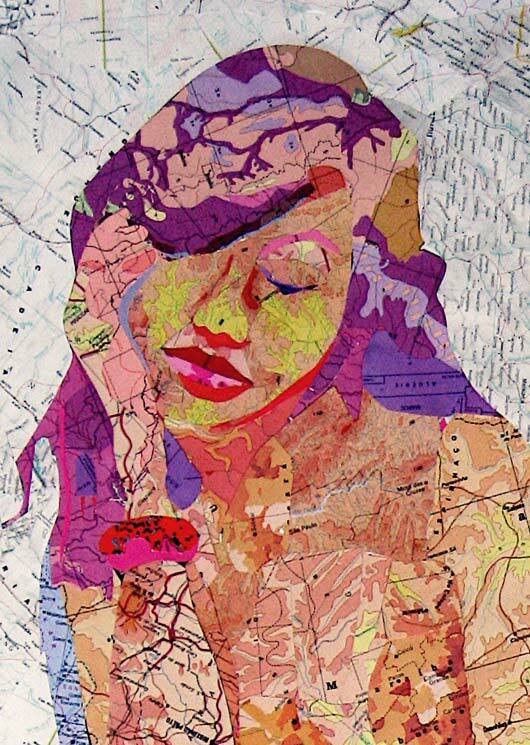 One day about 5 years ago when Joao was preparing for an art show in Paris he ran out of his regular art paper. It was late and all the stores were closed but Joao had to complete his work before the following day. A well traveled man, Joao had an abundance of maps in just about every jacket pocket. 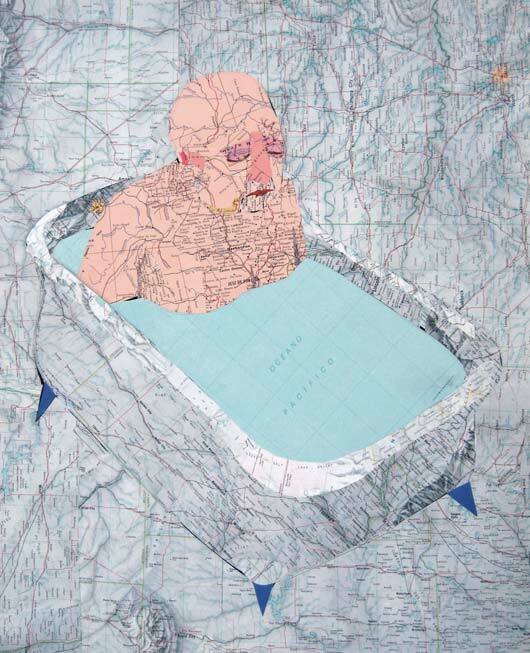 And so there began a new relationship with maps and a new series of works. Demand for Joao’s works have grown since he accidentally discovered maps as his medium and I’m not surprised a bit. I wonder if Australia features in any of them? I’ll have to ask or who knows, maybe one day I’ll be lucky enough to see one up close in person and then I’ll try and find us on the map!